For the past five years, all UD freshmen in the Alfred Lerner College of Business and Economics have faced off in the BUAD 110 Pitch Competition. This year’s top student teams will compete on November 28, 2018 in the Trabant University Center starting at 5 p.m. The competition will also be Facebook Live streamed for the first time beginning at 5 p.m. Approximately twelve teams are expected to be selected for the final pitch competition. One such student team comprised of Jacquelyn Battista, Neil Blanchard, Bailey Morgan and Logan Schwartz will advance from Bayuk’s Honors Program section of BUAD 110. They are pitching “Sport Pens,” convertible pens that, when taken apart, turn into a tabletop game such as a soccer goal, basketball hoop or football goal. Blanchard explained that the team wanted to invent a novelty product like the smencils (scented pencils), slime or fidget spinners that were popular when they were in grade school. The team pitches “Sport Pens” as an impulse buy, a product that doesn’t provide a tangible benefit but is something fun for kids to enjoy. The “Sport Pens” team is only one of approximately twelve teams who will be pitching their ideas. The top three teams at the end of the competition will receive prizes and are encouraged to develop their pitches further to enter the Horn Entrepreneurship Hen Hatch competition. Students, faculty and staff can register to attend the BUAD 110 Pitch Competition in the Trabant University Center. 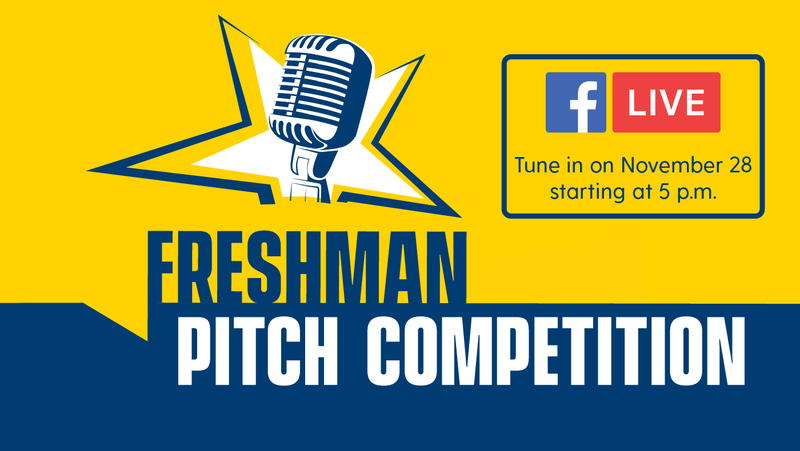 For those unable to attend the competition in person, the Lerner College will stream the pitches on Facebook Live beginning at 5 p.m.